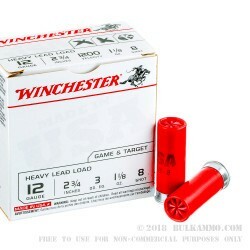 Winchester White box ammo is a staple in the shooting communities all over the USA. Known all over as WWB, Winchester’s White Box ammunition is a great option for the shooter who wants to run high quality ammo at an affordable price. 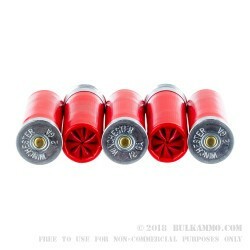 The bright red hulls, and nickel coated brass ends make these shells easy to see during ejection and extraction. The tough shotshell primers are set in at the Olin Ammo factory and are well known for their reliable ignition. This 12 gauge ammo is perfectly suited for all your trap shooting, shooting, upland game shooting, and quail hunting needs. In addition to the uses mentioned previously, they are also suitable in the role of a heavy target load. These shells are expertly loaded with 1 1/8 ounce of #8 lead shot, and they have an overall length of 2 ¾” (after the shell has been fired). 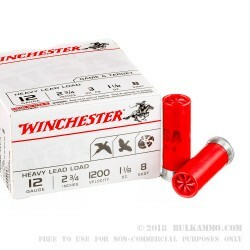 The Heavy Lead shot leaves the barrel at a significant muzzle velocity of 1200-feet per second and holds a solid pattern typical to Winchesters’ Shotshell Line. 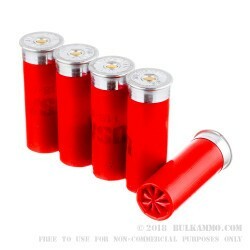 These shells come in a bulk package of one hundred (100) individual rounds that are ready to join you and your favorite shotgun on the range or in the field.